This has been a while coming. 1 Having mentioned this app a number of times, I haven’t yet offered a detailed account — something it thoroughly deserves. Those mentions have prompted a reasonable question, is it worth buying DEVONthink to Go for iOS if you don’t have a Mac? The short answer is yes. Qualified by what you want to do with it, but you won’t be short on possibilities. Whether you’re looking for a private Evernote alternative, want to improve your digital file management, better organise research material, or you want secure storage and advanced search capabilities for your data. There is much that DEVONthink can do on iOS. Of course, that leads us to a much longer answer — and, believe it or not, this is a mere introduction. There is a different kind of app where interchangeability no longer applies. Or at least, where it’s not quite so simple. They’re few and far between, but there are some obvious examples. Take Drafts for iOS, sure it’s a text editor — and there are plenty of those — yet, that seemingly simple function belies a unique automation engine for text based productivity. Having popularised the x-callback-url system on iOS, Drafts is as much an inception as it is an app. 3 By all accounts, inter-app automation via URL was only half a hack until x-callback allowed apps to return the call — so to speak. Perhaps the most obvious example is Workflow. Apple swallowed it whole to make an entire subset of fan-geeks exhale a coordinated, and confused sigh. What will happen? The optimists are betting on some form of native integration with iOS, while the half-empty crowd are clasping their hands and pursing their lips for a round of tutting on podcasts. Jokes aside, if Apple ever took Workflow offline, they wouldn’t so much be shooting themselves in the foot as they would be cleaving the entire leg off the idea of an iPad as a serious working device. These are all unique, and important apps. When used to its potential, DEVONthink can be just as important as the apps mentioned above on iOS. It's easily as unique. But like anything, it comes down to how you intend to use it. Implementation is key. 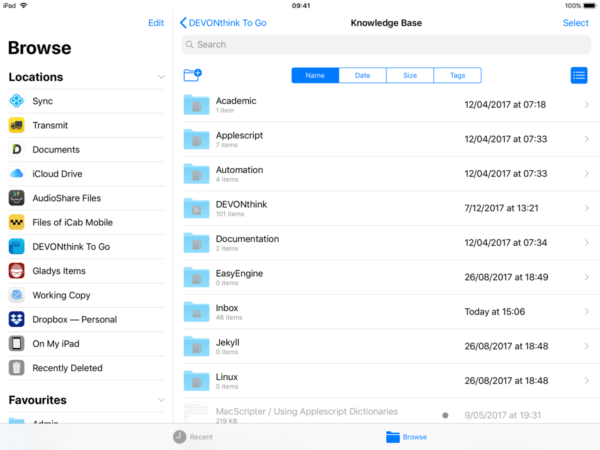 Getting the most from any of the DEVONthink apps means putting them at the centre of your workflow for capturing, storing, and retrieving data. DEVONthink to Go is no different. Amid the changes in iOS 11 were significant improvements for managing files. 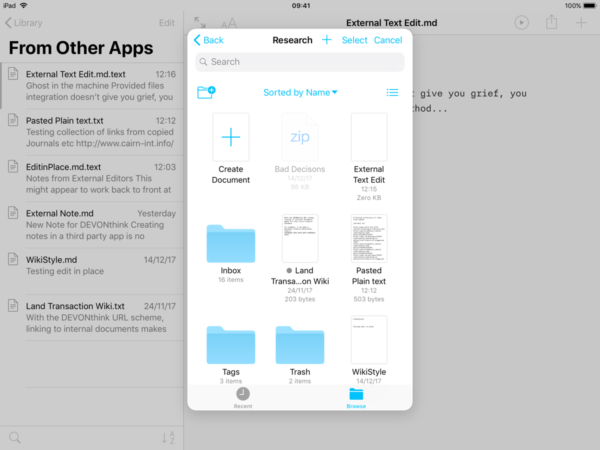 There is no doubt the Files app — even in these early stages — is a welcome and useful development. The caveat is recognising where some of Apple’s long held resistance to such an app came from. For example, organising files and folders — stacking iCloud with a folder hierarchy — is now easier than ever. Yet, to do so embraces an outdated method of organising data. Where research and study is concerned, how one archives important material is a serious consideration. This is not to say you shouldn’t use folders, but if you’re handling a lot of data, it can get very messy. This is where tags come in. A shallow file structure with carefully chosen tags adds depth to your metadata, giving you more surface area for search queries. Tagging gives you more hooks, but less visual confusion. Not only does the Files app allow more fine control for folders, users now have immediate access to Apple’s native tagging system. Whether carried over from macOS, or implemented locally on an iOS device, tagging can be utilised for search queries and data retrieval. Apple’s implementation of tagging across platforms has been casual at best. It’s kind to say it remains a work in progress. However, if only a gentle nod, it is still an acknowledgement of the utility in tagging for organising data. Ironically, if you find tagging useful and want to get more out of it, then you will need to go beyond the files app. This is just one area that DEVONthink shines. Tagging is part of the DEVONthink DNA. Some aspects of native iOS tagging remain mysterious, but DEVONthink is smart enough to import the metadata applied in the Files app. Unfortunately, it doesn’t yet work the other way around. While organising a folder hierarchy in iCloud Drive is much easier with Files, ironically that app makes it less necessary to do so. I tend to work in the DEVONthink app directly, but DEVONthink data in Files is incredibly useful, and not just for quick access. If you are already a user on macOS, adding DEVONthink to Go to your workflow is straightforward. The database itself is encrypted, and the app supports pretty much any file type you can throw at it. Devon Technologies are one of the oldest Apple software developers around. So it is no surprise to see them embracing the new Files App. This means DEVONthink to go can be used as a file provider. So you can store your files safely, and edit them in place using third-party apps. In my opinion, this is a pretty sound option. In many cases, it could be enough. If it is, managing files through DEVONthink will avoid the need for a dropbox alternative. DEVONthink is also very smart about storage, giving you the option to keep metadata locally, and download files on demand. Or if you prefer, you can store everything locally. As the engine is built to sync databases individually, there is even a little storage hack — if you are so inclined. Backing up data on iOS requires users to think differently, especially if you are not using a Mac or a PC as the mother ship. DEVONthink is one of few apps that can give you extra peace of mind. All but the most perfunctory writing requires research. Couple that to the focused nature of an iPad workflow, and you have a use case for a purpose built repository. Writers using Scrivener have tools built in to that app, but while they might be enough for some writers, that research is — in practical terms — silo’ed by project. I like to have that material available more generally, whether during, or after a project is complete. 7 Spotlight is a great tool for search, DEVONthink is better. DEVONthink is built for search. A consistent naming convention, and tags can only be helpful to maintaining a research database. DEVONthink comes preloaded with tools that will either compliment that process, or help you retrieve data regardless. With Boolean search operators, and parentheses, refining search terms will return items with more specificity. You will find more, and lose less. Search queries can be constructed using the boolean operators AND, OR, NOT, and the truly helpful NEAR. For example, I might remember that I saved an article that included the phrase ‘Why Aristotle was never quite as awesome as Plato’. I can search for the document with: NEAR (Aristotle Plato, 10), and DEVONthink will return items that have the keywords Aristotle and Plato within 10 words of each other. Of course, you can go much further by changing search queries together. My first example returns a lot of results, but let’s say I remember it was an informal source. I could construct a search query to eliminate results that have a keyword to indicate it comes from an academic journal. I would use something like NEAR (Aristotle Plato, 10) NOT Journal. I could use a DOI number, or Abstract as elements common to those kinds of results. Even if by trial and error, the ability to construct granular search queries makes DEVONthink to Go an invaluable tool. If you are a user of DEVONthink Pro on macOS, you should know the query syntax is a little different. It can be frustrating if you don’t know that, but the simplified version for iOS makes sense. While accurate searches are crucial, there is a swiftness involved with mobile input. The developers are on record as saying an alternative syntax is on the roadmap, to make the apps more consistent. The existing syntax would remain, which is a good thing to my mind. I have never had so much success at finding what I need among my haphazard collections. 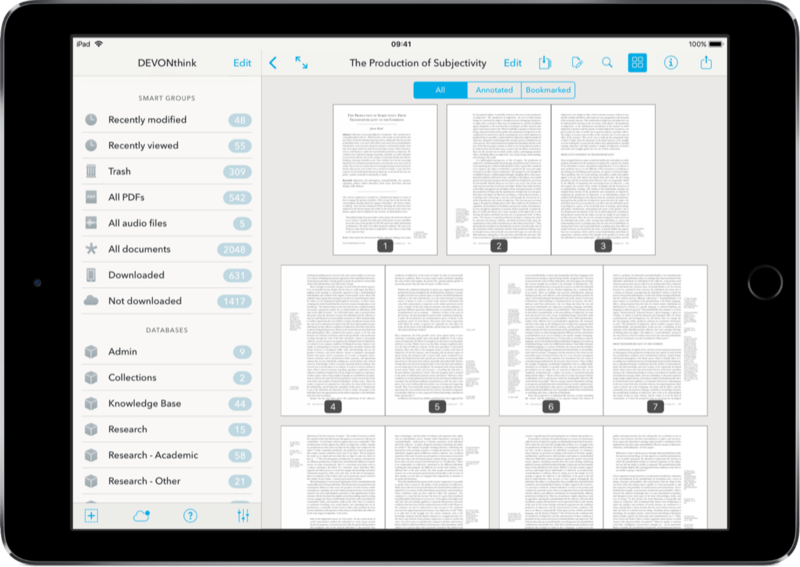 I have consistently recommended PDF Expert for a stand-alone PDF reader on iOS. Until recently, together with the free Documents app from Readdle, and Papers 3 for iOS, that was the extent of my PDF workflow. It is not so clear cut anymore. 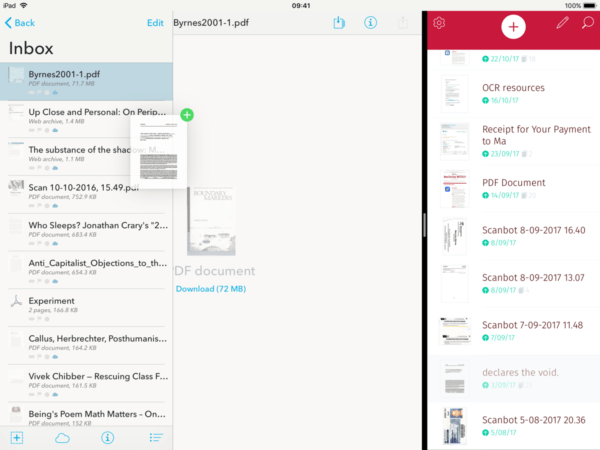 For one thing, the makers of the PDF framework PSPDFkit released their free PDF Viewer app, making powerful PDF management available to users for nothing. But there are other reasons, one of them is DEVONthink to Go. Some advice I give out freely but struggle to keep is, try to minimise the apps you use for essentially the same task. Managing PDFs for your research can get out of hand if you don’t have a clear idea of how you organise them. 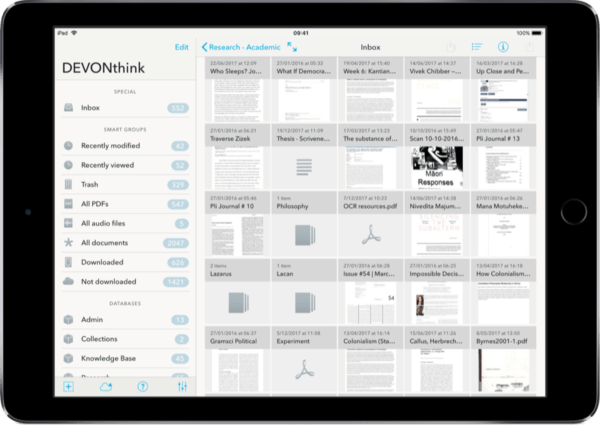 There is no problem with using a third-party PDF app with DEVONthink to Go.The support for editing files in place means you can edit files in other apps, without having to copy them to another app. 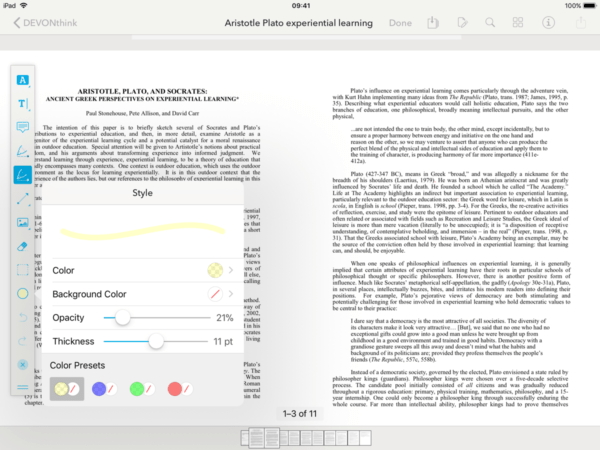 However, DEVONthink’s built in PDF editor is more than capable. It gets out of your way, includes excellent Apple Pencil support, and has all the requisite annotations tools. You can edit the documents themselves, even add pages if necessary. Sometimes you might need to do more with annotations, but that is about the extent of the limitations. These are considerations to make if you are assessing the in-app purchase. 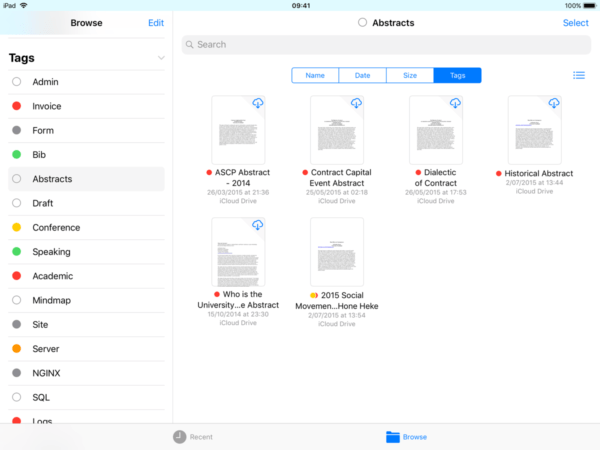 Especially if you are setting your iPad up for the first time, it could make a lot of sense to go all in and keep your document editing and annotations in one place. The actual in-app note-taking features are quite sparse, but functionality of the app makes up for that in other ways. I have been making a point of laying out a use case where DEVONthink is a central hub for storing data, but it can be a point of creation too. 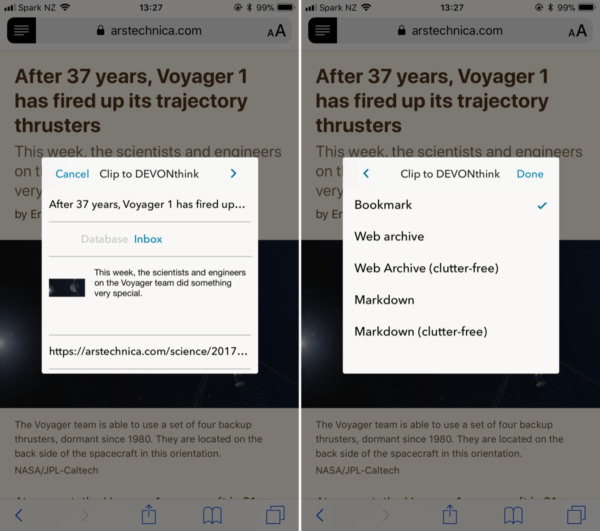 DEVONthink to go supports rich text, plain text, and markdown, with the ability to capture, read, edit, or create within the app itself. The editor in the app itself is very basic, so I tend to use a third-party text editor. The ability to edit files in place means you can use whatever app you choose, as long as it supports file providers. In my experience to date, the app with the nicest integration is iA Writer, especially since the recent update. Another with reliable support is 1Writer. Editing in place means you are opening the file in your choice of editor, and the changes are reflected back in the database. Until recently, this wasn’t really possible. DEVONthink used a workaround it called ‘round trip’, which worked, but wasn’t ideal. Once the file is the database, the changes will be reflected whether you edit it in the third-party editor, or in DEVONthink itself. If you know anything about iOS system extensions, you will now that there are two types of actions in the share menu for files. One opens the file in another app, the other copies the file into the other apps storage. Edit in place means you are not making a copy. There have have been reports of strange behaviour, although I have only experienced it a couple of times myself. It seems to happen more when using the share extension, rather than starting the edit in the text editor first, and using the files integration. It is also worth pointing out that all of this functionality is new, as are the frameworks in iOS that support it. There are a few bugs in the system, but nothing catastrophic. This might appear to work back to front at first, but if you think of DEVONthink as the storage facility, it will sink in. Where it gets messy is if you try to edit the same file with multiple editors, you will end up with conflicts and error messages. My best advice is to be consistent. This is something that comes up a lot in relation to DEVONthink apps. Except for a couple of passing comments, there is conspicuous absence of Evernote coverage on this site. It’s not that I don’t think Evernote is useful. If anything were a gateway drug to digital productivity apps, Evernote is it. I was once a heavy user. The idea behind Evernote is to throw everything you ever come across at it, it can even be therapeutic for a digital pack rat who can’t let anything go. Clip it, and forget; or come back to if you will. If the defining Evernote feature is its clipper, that can be a problem, as there is nothing judicious about the process. Capturing information is ridiculously easy with Evernote. DEVONthink can operate on the same principle — if you wish — only completely private. The DEVONthink clipper might seem basic 8, but it is a powerful little extension. With the extensive automation feature on iOS, you can customise and extend its capabilities to suit your own needs. Unlike Evernote documents are not stored with DEVONthink in a proprietary format, so your data doesn’t feel so captive. If you’re a macOS user getting your notes out of Evernote is not difficult. 9 Yet, the more material you store there, the more reason you have to be nervous about the portability of that data. This is a double edged sword for Evernote and some users. The more you get drawn in, the harder it is to leave, and yet if you have a lot of important data there you’ll start to think about what might happen to it. Truthfully, I hardly ever used Evernote to take notes. As I think many people do, I used it like a database. Moving that workflow to DEVONthink is very simple. Although, even if I still throw a lot at DEVONthink, I tend to do it with a little more foresight. That you can delineate types of data within a hierarchy that goes all the way to database level, means I don’t have the overwhelming sense that my research data is being polluted by gift ideas, and tutorials for obscure automations that I’ll probably never use. As for the data itself, I can still have the convenience of cloud storage, only now it’s encrypted and I can choose how, and what I want to synchronise. These things are just as true for an iOS only workflow as they are for a full blown DEVONthink Office pro user archiving their email. There remains a problem, however. As I alluded to above, getting your data out of Evernote, and into DEVONthink on the Mac is a trivial matter. 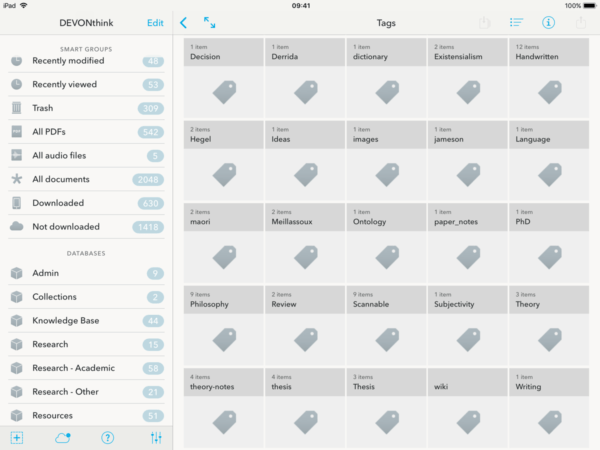 DEVONthink makes it very simple, with Evernote API integration. Without a desktop of sone form in the middle, however, the same is not true for iOS users. The pressure points for going iPad only are now much fewer than ever, but there remain a couple. I often mention citations, then there is this kind of data transfer. There are workarounds for this. If you’re considering it, you’ll be happy to learn I have you covered. I was going to include the options, with different instructions and a couple of workflows I have built in this post, but I took a look at how long it is getting and broke it off into a seperate piece. It will go up not long after this. Speaking of Workflow, an area of considerable value to an iOS only working life is automation. While the default iOS interaction model of one app at a time has been supplemented with multitasking features, the secondary, and even tertiary apps are almost exclusively invoked as part of a singular, focused task. 10 The benefit, whether intentional or not, is the iPad encourages a kind of focused work that more traditional computing interfaces do not. This is particular beneficial for academic work. This is a curious strength, but as anyone who has done a lot of work on an iPad will tell you, it has its drawbacks. Thankfully, most if not all insurmountable problems have been made history by two significant developments to the platform. The first was the aforementioned Workflow app. That app might be somewhat indebted to the inception of x-callback — as mentioned above — but Workflow kicked the automation door off its hinges, and you get the sense something much more significant is coming from that app. 11 The second development happened this year: drag and drop. It’s amusing to think the introduction of copy and paste to the iPhone was once an event. 12 Copying and pasting was for so long a cumbersome, finicky, and frustrating. With the APIs available to developers in iOS 11, we can now evaluate particular apps on the basis of how well they take-up native technologies, rather than what they can do to overcome a lack of the same. It might have been a stretch to call url-based automation native, but Apple has burred that distinction with Workflow. Regardless, DEVONthink To Go is tapped into both of those features — automation, plus drag and drop — extensively. Drag and drop is pretty self-explanatory, although the version we get with iOS 11 makes it feel like a completely new innovation. It’s deep integration, system wide even mitigates the need for some, albeit minor, automations. The kind of work one tends to do with DEVONthink, however, is ripe for automating. Something the developers are keenly aware of. DEVONthink to Go will even perform service tasks via URL, such as indexing, syncing, and rebuilding caches, and you can change app settings. A lot these touches will be beyond most users needs, but it shows the meticulous level of detail that DEVON technologies drills into. More than that, these options provide troubleshooting options that may prove useful as databases become larger, and more devices are added to the chain. If you never use them, they offer security by way of both usefulness and insight into the forethought put to building the app. A it is intended for storing important information, all of this matters a great deal. To button this up, by returning to the question. Is DEVONthink to Go worth buying if you are an iOS only user? The answer remains, yes. Whether it is to act as a repository, a midway for automation, or to distill the need for multiple apps into one. There is a lot going on here. I’m not going to pretend it couldn’t be improved, but then DEVON technologies are nothing if not proactive in that regard. I’ll also admit that I get more from this, as I use DEVONthink on both macOS and iOS, but that doesn’t diminish its role on my iPad by any stretch. If it were to go away, I would have a serious nuisance on my hands to pick apart the various things it does. 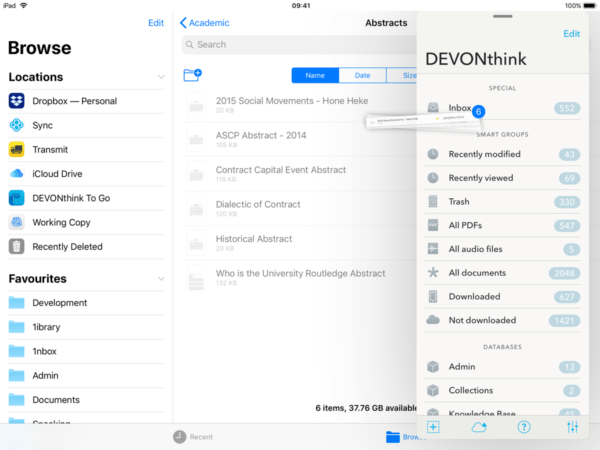 As I’ve been writing this, the capacity of DEVONthink for working on iPad has had me peeling back layers of functionality. At this point I’m aware of so many little things I have missed.This is especially true for Mac users, but that it should be obvious that was never the point of this post. At the moment I am experimenting with building more Workflows for DEVONthink to go, and that includes building on the options I have put together for referencing and citations. In the meantime, I have added a couple below that might be of interest. DEVONwiki — DEVONthink's internal linking structure remains consistent across platforms. This means you can use DT2GO for setting up a wiki style research library that will work across devices. 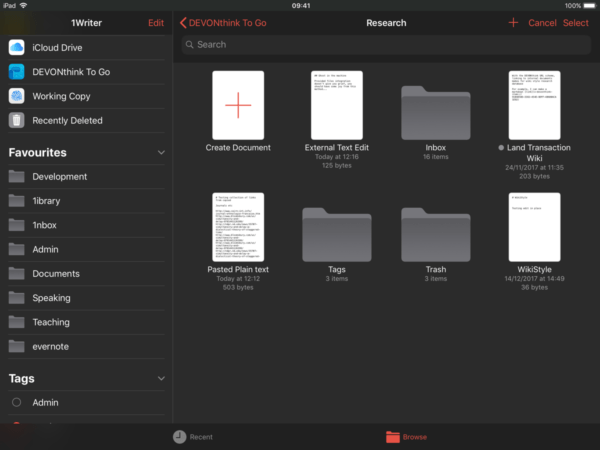 This workflow uses a note in Drafts to reference PDF documents added to a DEVONthink database, either directly from the web, or from another storage location. With x-callback URL you can maintain the note itself in DEVONthink. I will post variations of this in future.